Can the Dell XPS steal the Ultrabook crown? As well as the new iPad review, we've also got a whole host of other reviews awaiting your perusal on TechRadar. We've checked out several new Intel Ultrabooks including Dell's XPS 13 and the Samsung Series 5 as well as the thin-and-light but officially not an Ultrabook Samsung Series 9. And then there's the Panasonic DMP-BDT220 Blu-ray player among plenty of other cool kit. Check out the full list below. There's only so cheap you can go with a thin and light chassis, Intel Core i7 under the hood, 4GB of memory and a 128/256GB SSD. Dell hasn't managed to make the XPS 13 as cheap as some competing Ultrabooks but this shouldn't be a message of doom and gloom - we think Dell will manage to bring prices down. 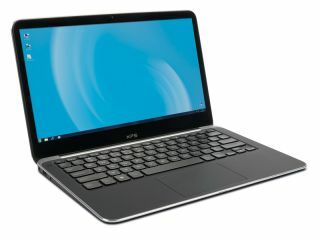 And despite the price, we think the XPS 13 is the most desirable Ultrabook we've yet seen. And, because of its corporate-friendly features we think it'll become a fixture in many boardrooms. But it's far from being just good for business. It's an excellent choice for anyone wanting a highly powered, highly portable machine. We've just found our next PC. How about you? We think Apple's new iPad is magnificent. It's definitely the best iPad ever, with a brilliant new pin-sharp Retina display and more powerful graphics the stand-out new features. A consequence of these upgrades is that it's slightly thicker and heavier than the iPad 2, but if you want one of those, Apple is leaving the 16GB Wi-Fi model on the market. Let's face it, though, you don't want one of those. You want one of the new ones, especially as the new iPad is only a little more expensive and offers a visual experience you have to see to believe. Apple's MO is evolution rather than revolution, so owners of older models need not worry - there's plenty of life in them yet. But for anyone else looking for a new play thing, this is it. Designed for use in the home as well as on the move, Philips is hoping the new Fidelio L1s will strike a chord with that rare beast: the iPod owner who really cares about sound quality. A lot of the music we put through the L1 cans sounded absolutely stunning. Acoustic tracks sound first class across the board. The A-minor twang of a guitar, the snap of a snare drum, the wail of a Roger Waters – it's all as sonically pure as any other headphones we've tested in recent times. But for as many tracks as we could find that made the L1s sound like the best headphones in the world, there were as many that brought them back down into the realms of normality due to a lack of punch at the low-end. The Samsung Series 9 900X3B is a fantastic-looking laptop that doesn't sacrifice usability like many ultra-portable laptops. Yes, there's a lack of power here, battery life is uninspiring and the price is colossal. Those things usually equate to a bad review, but the Series 9 commands a certain respect. The engineering and vision that's gone into making something beautiful and unique goes beyond benchmark scores and gripes over price. We made excuses for the original Apple MacBook Air, which wasn't usable as a main machine. While the DBP-BDT220 has a seductively low price, it's by no means a budget proposition. Panasonic has produced a high-performance Blu-ray player that doesn't disgrace itself when partnered with equipment from higher up the food chain.